End of Support for Microsoft Windows Products – What does it mean? Windows Operating Systems life cycle report, which Microsoft maintains, provides end-of-support dates for each of Microsoft’s Windows products. Based on the report, support for Windows Vista happens in April of 2017. Many Windows users remember the end of extended support for Windows XP in April 2014. Likewise, Windows Vista is scheduled to meet its life cycle end in April of 2017. The Vista operating system has an interesting life span. Its introduction, in early 2007 was designed to replace the popular Windows XP. Vista design included improvements in graphics, networking and security over its predecessor. However, it drew criticism for its heavy resource requirements, restrictions for the copying of protected digital media, longer boot times as well as other issues. As as result, its satisfaction and initial adoption rates were lower than those of Windows XP. 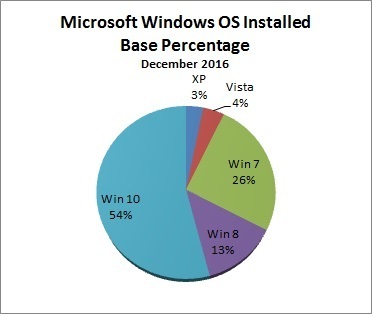 Our analysis shows the current installed base percentages for each of the major Microsoft Windows operating systems. Vista usage represents a fairly small percentage, 4%, of the total Windows installed base. If you are still using Vista, you don’t have to do anything. Just as the Windows XP end of extended support came and went in 2014, your Vista operating system will continue to work after April 2017. 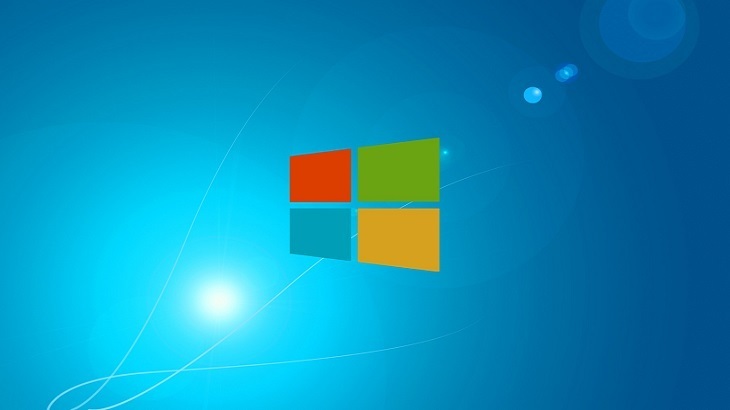 Be aware that Microsoft won’t be generating any updates or security patches after support is discontinued. If you are a satisfied Vista user, continue to use it. PC Pitstop recommends that you have a good security product (like PC Matic’s SuperShield) and that you maintain proper backups. However, if you are ready for an OS update take a look at Windows 10. You may like it. Research, The Pit Blog End of Life, Life Cycle, Microsoft, Vista, Windows. permalink. Yes it is true: Just look at your Android and Apple phones. Microsoft Windows is at the END OF LIFE. I have a notebook that runs XP and a laptop that runs vista, my main computer I updated to 10 back when it first came out, let me just say “it was a real shock” because 10 is such a weird OS that it really took me some time to get used to it. Now I am used to it and it seems to work really well so far, although I do have some pet peeves with 10 and have tried to let Microsoft know so maybe it could get fixed or at least inform me how to do it myself. I have been using PC Matic Supershield on all 3 of my computers since it first came out and have been very pleased with the performance and I highly recommend it for the main fact that it keeps all my out of date OS working at top performance. So I guess we will be stuck with the worst Windows ever right next to ME. Windows 10 junk. Unless Microsoft gets something better than 10, everyone will be switching to Linux. Probably not a bad idea anyway. I switched in June ’16. I had been using Vista, and dual booting with various Linus OSs. I had a problem with the PC, and when I tried, several times, to download and reinstall Vista, Microsoft wouldn’t let me. That’s great! There is a program called WUBI, you can install Linux next to Windows. It’s the only program that will do that and set up dual boot, but it only works up to Windows 7. In order to do that also, you have to install Windows first then Linux after words. Sounds like a hassle now. Couldn’t agree with you more on Linux. It’s better and FREE.